Thank you to all our donors. 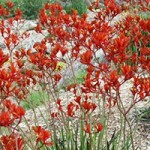 Without your support the work of the Flower Valley Conservation Trust will not be possible. Fauna and Flora International established the Arcadia Fund in 1998 to purchase non-protected areas of high biodiversity value that are under immediate threat. In 1999, a major donation from the Arcadia Fund, with support from The Conservation Foundation, The Countryside Restoration Trust and a concerned individual, enabled FFI to help purchase Flower Valley. Through FFI’s partnerships, Flower Valley has received invaluable funding and technical support. The Fauna and Flora International Global Business Partnership aims to work with leading multinationals in the commercial and industrial sector that have a significant impact on biodiversity. Flower Valley has benefited greatly through the FFI/British American Tobacco Biodiversity Partnership, which was founded on a mutual interest in exploring and developing the role of business in conservation and management of biodiversity. 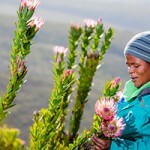 Generous donations have been received from members of FFI and from Friends of the Fynbos. These personal ‘votes of confidence’ helped to inspire and encourage us in our everyday work, reminding us that what we are doing in our own small valley on the southern tip of Africa, is important to people all over the world.